The Best San Antonio Bloggers from thousands of top San Antonio Bloggers in our index using search and social metrics. We’ve carefully selected these websites because they are actively working to educate, inspire, and empower their readers with frequent updates and high-quality information. San Antonio newsletter is a comprehensive summary of the day's most important blog posts and news articles from the best San Antonio websites on the web, and delivered to your email inbox each morning. To subscribe, simply provide us with your email address. San Antonio, TX About Blog Follow to keep up with latest local politics, music, nightlife, food, visual, performing arts and so much more. Facebook fans 143,978. Twitter followers 129,292. San Antonio, Texas About Blog CultureMap San Antonio is your daily source for local lifestyle news, including where to eat, what to do and what's happening in your city. Facebook fans 18,295. Twitter followers 743. San Antonio About Blog Your best source for quality San Antonio Spurs news, rumors, analysis, stats and scores from the fan perspective. Facebook fans 177,073. Twitter followers 21,193. San Antonio, TX About Blog San Antonio Restaurant reviewer, Movie Blogger, food reviewer, Food Critic, food blogger, wine reviewer, Product Reviewer, Travel Blogger. Facebook fans n/a. Twitter followers 43,862. San Antonio, Texas About Blog Blog by Colleen Pence on Life and Parenting in the Alamo City. San Antonio Mom Blogs combines of my love of parenting and lifestyle blogging and my desire to promote and connect other mom bloggers in San Antonio. Facebook fans 20,407. Twitter followers 9,911. Southwestern USA About Blog MCLife = Local eat, shop, and play all in your San Antonio neighborhood! Here’s our go at providing you with the best 5 places to eat, shop and play within 5 minutes or 5 miles from each of our MCLife Apartment Communities. Facebook fans 5,279. Twitter followers 27,780. San Antonio, TX About Blog The best of San Antonio real estate blogs - for buyers, sellers, real estate agents and anyone seeking real estate information - search the MLS for San Antonio homes, find houses for sale, land and property for sale, information for first time buyers, military, relocation, seniors, investors, FSBO and houses for rent. Facebook fans n/a. Twitter followers 22,682. Austin, TX About Blog Escape ATX is a travel blog that focuses on cheap airfare and travel deals leaving from Austin and San Antonio. This isn't a blog about visiting Austin or San Antonio, it's about leaving here for other destinations as cheaply as possible. Facebook fans 46,826. Twitter followers 14,087. San Antonio, TX About Blog Get all the latest updates,schedules and news of the San Antonio FC an American professional soccer team based in San Antonio, Texas. Facebook fans 28,785. Twitter followers 13,431. San Antonio, TX About Blog The latest blog posts for the best San Antonio restaurants, food, culture and more! We've got you covered from the Southside to the Pearl to outside 1604! Facebook fans 7,994. Twitter followers 2,802. San Antonio About Blog Alamo City Moms Blog is passionate about parenting, community and the city of San Antonio. We strive to provide moms with relevant, timely and fun information about all things mom here in the greater San Antonio area. Facebook fans 25,186. Twitter followers 3,024. San Francisco, CA About Blog A community to share and discuss stories related to the great City of San Antonio. Facebook fans 1,188,476. Twitter followers 547,623. San Antonio, Texas About Blog Tori Johnson is the top San Antonio Texas Fashion Blogger writing about trends, style, beauty as well as mommyhood and kids. Facebook fans 6,870. Twitter followers 8,561. San Antonio, Texas About Blog San Antonio Woman Magazine is a bi-monthly San Antonio magazine for local women from Alamo Heights to Stone Oak and the Texas Hill Country. San Antonio Woman captures the spirit of our local San Antonio women.. Our editorial is focused on business, homemaking, entertainment, fashion, beauty, inspiration, and health. Facebook fans 12,177. Twitter followers 10,414. About Blog Discover excellent artists, artisans, and independent businesses in The Scout Guide (TSG) San Antonio, Texas city guide. Follow TSG San Antonio to get an insider’s view on where to go, what to do, and where to shop in San Antonio. San Antonio TX About Blog San Antonio's city magazine, with a decidedly queer sensibility. Covering politics, people, home life and events in the LGBTQ community since October 2014. Facebook fans 1,391. Twitter followers 1,250. San Antonio, TX About Blog We provided current deals as they are happening! You will see a breakdown of items on sale, coupons used & out of pocket cost! Saving Our Way in SA helping you save one coupon at a time! Facebook fans 2,089. Twitter followers 307. TEXAS About Blog Read stories from a Texas Latina blogger about education, entertainment, culture and family. Que Means What is a blog ‘where education and entertainment meet familia y cultura’. Melanie Mendez-Gonzales, owner and creator, chooses to write on these topics because they are important to today’s American Latino community. Facebook fans 2,263. Twitter followers 8,064. About Blog My name is Theresa Doyle-Nelson ... I call myself a writer, and have written much in the past 20 years or so. After a few years in Brownsville, I moved to San Antonio to teach 1st Grade. Through a Newcomers Get-Together at St. Matthew's Catholic Church, I had a chance meeting that really changed my life. San Antonio About Blog A blog about the best things to do in San Antonio, Texas, for folks who want to get beyond the Alamo and the River Walk. It is my hope that this blog will help you to get off of the beaten track and make the most of your time in San Antonio. San Antonio About Blog San Antonio's premier city magazine covering Fashion, Music, Food and Fun. Facebook fans 2,988. Twitter followers n/a. San Antonio, Texas, USA About Blog My goal is to provide fair information about different types of schools, especially high-performing public charter schools, but also traditional public schools, private schools, magnet schools, homeschooling, and other alternatives. I also want to share tips about fun, educational activities for families. Facebook fans 2,477. Twitter followers 1,978. San Antonio About Blog SA Arts is your online source for cultural events and San Antonio area performing arts schedules, entertainment, galleries and events. SA Arts provides a full calendar of events occurring in the city and surrounding hill country area, including listings of significant live performances, exhibits at San Antonio museums and art galleries, downtown exclusive events and other local activities, including festival information. Facebook fans 3,135. Twitter followers n/a. San Antonio About Blog Use Tom White Group blog to find San Antonio real estate by price, bedrooms and more. We have every listing from every real estate company in the San Antonio area. Our agents write often to give you the latest insights on owning a home or property in the local area. Facebook fans 1,865. Twitter followers 544. 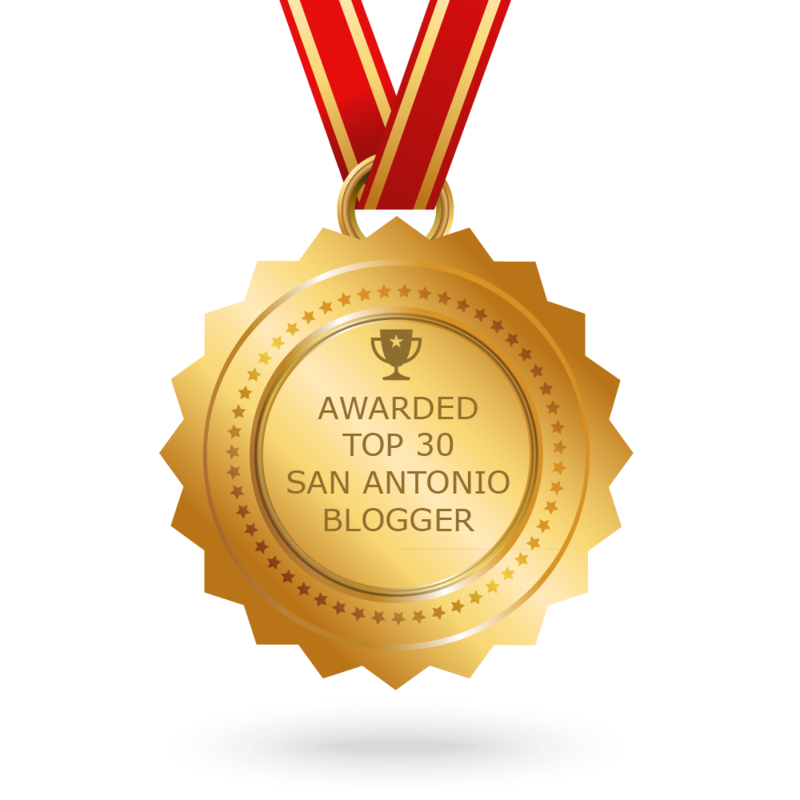 CONGRATULATIONS to every blogger that has made this Top San Antonio Bloggers list! This is the most comprehensive list of best San Antonio Bloggers on the internet and I’m honoured to have you as part of this! I personally give you a high-five and want to thank you for your contribution to this world.